/ JTX tri-fit review – a good home cross trainer? JTX tri-fit review – a good home cross trainer? 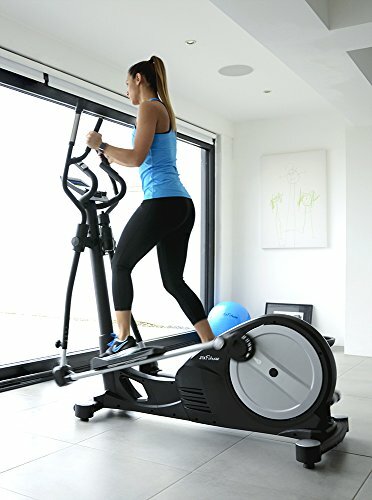 Cross trainers are really popular items to have in your home as they can do a really good all round, low impact work out that almost anyone can do. They are suitable for real beginners or also for people who have been around the fitness scene for years! They are a serious investment though and if you don’t want your cross trainer to gather dust and become a clothes horse you need to make sure what you buy suits you. JTX are a really good brand and one that I return to time and time again – they do really good value products which are excellent middle of the road items. You don’t want to always be going too cheap and sometimes it’s just way too much of a stretch to go for the high end so they are a great compromise and their incline cross trainer is a great example of this. I like the fact that it’s adjustable and suits the different heights of the users in my household and also the different fitness levels too. The included programs are also great for the different types of people who use it and they can be tailored to your fitness level. I’m 6 foot tall and my wife is only 5 foot so in order for us to get good use out of these machines we need to be able to adjust the stride and this one does this really easily. The stride can be adjusted from a minimum of 16 inches up to a maximum of 20 inches. While at the maximum end you’re simulating a running motion and the smaller stride is more suitable for those who naturally have a smaller stride or who are less fit. The cross trainer also has an incline control which is independent of the stride adjustment which is really good – so no matter what you’re optimum stride length, you can still change up the incline and as such change the intensity of your workouts. There are 16 levels of resistance on this machine which is of the electro magnetic type – this type is really quiet which is a huge plus for me! Maximum resistance means a really intense workout but if you’re less fit then you have many options that means you can work at the right level for you. The 17kg flywheel makes the movement really smooth and gives a solid weight to the machine. Overall I’ve seen many positive reviews of this item on the web – it’s a sturdy, well built cross trainer that has all the features that you’d expect and a bit more. JTX have been praised a lot as being a good company to deal with should anything go wrong so I’d have no worries there. Overall if you want a good cross trainer that you’ll actually use, that won’t be so annoying that it will just become a dumping ground for clutter then you probably want to go for something like the Tri-Fit. 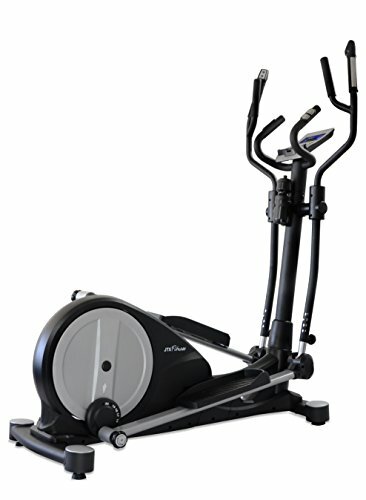 It’s great for multiple users and for a variety of heights and fitness levels. Once you do get fitter it’s also going to continue to be a great item for cardio vascular workouts and intense fitness regimes.